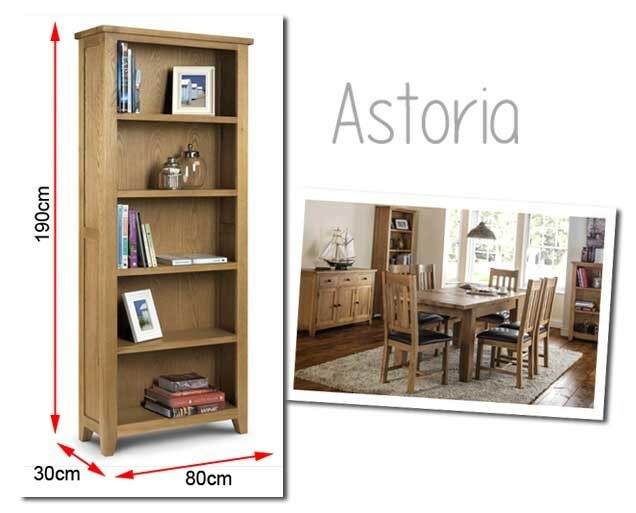 The Astoria range has been crafted using the finest American white oak and oak veneers to produce solid, long lasting pieces that beautifully compliment your home. Housing 5 shelving spaces the Astoria tall bookcase offers plenty of space for storage or display space. The complimentary design will showcase your trinkets, photo frames and personal items beautifully. The slim nature of the Astoria bookcase makes it a neat fit against the wall and enables it to fit perfectly in to many spaces. Question from Diane: Asked on 28/07/2018 What is the backing panel made from? Where do you use the oak veneer?